Learn to sell your art without feeling like a sell-out. 1. We don’t just make art; we make a living. 2. We don’t dream of success; we plan for success. 3. We don’t discount our art; we get paid 100%, upfront. 4. We don’t make goods or offer services; our “product” is emotion. 5. We don’t use sleazy sales tactics; we inspire. 6. We don’t compete with other artists; we are part of a supportive savvy community. 7. We don’t enter art contests or work for free; we know our niche. 8. We don’t build art careers; we build businesses. Mission is to serve as a consumer resource for people who buy, sell, collect and evaluate art, and who are interested in learning about how the art world works. 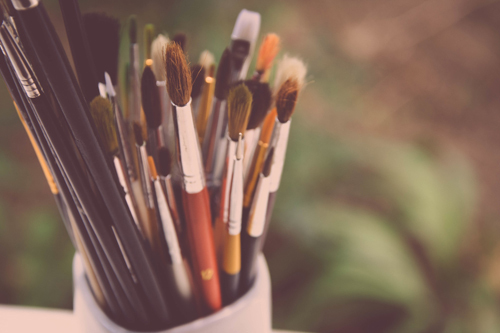 For you artists, the goals are to help you understand how the art business operates, and how to present your art more effectively to the public for purposes of getting shows, making sales, getting gallery representation and more. Sign up on her website to Gain Confidence, Credibility and Connections with her 6 free video lessons and tips for your Art Biz. Build a profitable business with your art, your way. It’s not your fault if you’re struggling with earning the living you want, with your art. You just haven’t learned HOW to yet. The only difference between a ‘starving’ artist and the artist who is earning six figures is this: The six figure artist has learned a few strategies needed to run a successful art business.